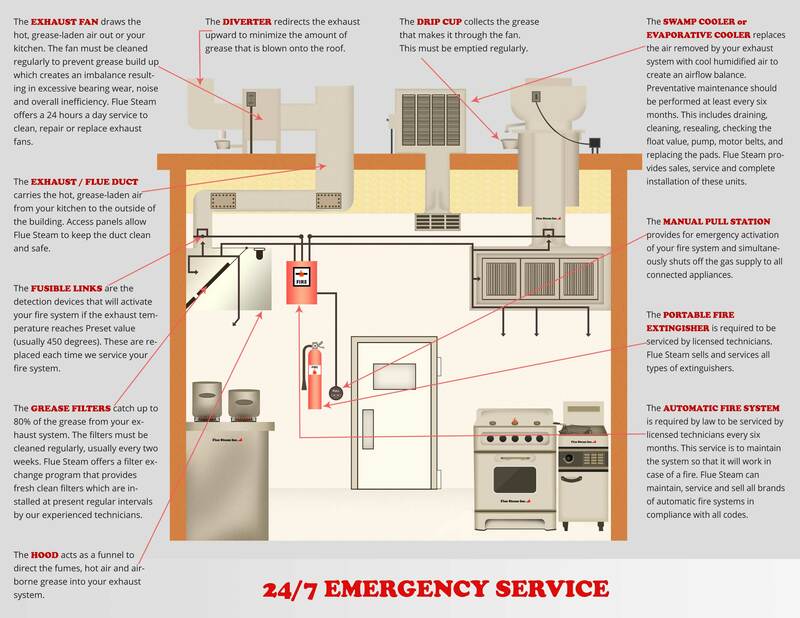 As the owner or operator of a commercial kitchen, you know that there is plenty of red tape to untangle when it comes to keeping your kitchen in compliance with various health and safety codes. Naturally you want to do everything in your power to keep your staff and your customers safe. Complying with the law regarding automatic fire suppression systems will help you achieve this goal. Automatic fire suppression systems are designed to detect and extinguish grease fires before they have a chance to spread into the ventilation system and cause serious damage to your kitchen and endanger customers and employees. Therefore, all of the commercial cooking appliances in your kitchen that may produce greasy vapors must have their own automatic fire suppression nozzle. So for example two deep fryers placed side by side should each have their own nozzle. 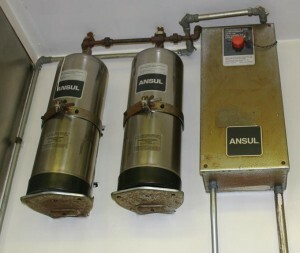 In addition to these nozzles that spray an extinguishing agent, the system must be set up with automatic shutoffs for the electrical power and/or gas to the appliance, as well as with visible and audible alarms that will warn employees that the system has been activated and give them time to clear the area. A separate warning tone should begin when the extinguishing agent actually gets released. Automatic fire suppression systems should also have a manual activation device, located 10 to 20 feet from the exhaust system and close to an exit. When you trust a certified contractor like Flue Steam to install your automatic fire suppression system, you know that all the little details involved in complying with UL 300 and California state codes will be covered. We have the C-16 license required by the state to install, service, and inspect these systems. Different automatic fire suppression systems use different types of extinguishing agents, including carbon dioxide and dry and wet chemicals. For commercial kitchens, however, wet chemicals are often regarded as the best extinguishing agent. Dry chemicals can evaporate too quickly in a grease fire, enabling the grease to potentially reignite. Like any safety system, your automatic fire suppression system needs to be inspected regularly. California requires two inspections per year (one every six months), as well as an inspection after every system discharge. Flue Steam can provide these inspections as well as the paperwork needed to prove to your insurance company and other bodies that you have complied with your obligations and your system is in good working condition.